Trustly Group is a company based in Sweden that provides quick and convenient online payment solutions to customers shopping on the Internet. The company was founded in 2003 and is headquartered in Stockholm, Sweden. It conducts its transfers via PayPal and Transferwise. Trustly acts as a mediator whenever a purchase or payment is made, protecting the payer’s personal and bank information, making the transaction completely anonymous. The service is available in over 800 online stores and the company moves over €1.7 billion annually as of 2015. The process of using Trustly is simplified to the extent that anyone can use it hassle-free. The difference between Trustly and other similar payment solutions is that when making a payment with Trustly you never leave the original web page. Instead when choosing it as a payment method, a pop-up window will appear where you have to enter your bank information. When that is done, the payment is complete and the funds are immediately transferred. 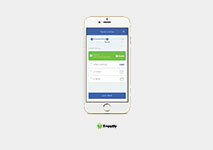 Unlike other online payment solutions, Trustly does not offer users an eWallet. What it does is mediate the transaction, making it easier for the funds to process over Trustly’s network of supported banks. Trustly works with most major bank in the EU so it is very likely that you can use the service to its full potential without having to go to extra lengths. If your bank is not included in Trustly’s network, you can still use their service, but payments will arrive within 3 business days. Depositing with Trustly is a simple process that no one should have any difficulty with. When on the cashier page, select the ‘InstantBank/Trustly’ option and a pop-up windows will open. There you select your bank, login using your bank ID and password, input and confirm the sum you want to deposit. Transactions are carried out instantly and you can play for real money immediately. To withdraw the money you have won choose ‘InstantBank/Trustly’ as the transaction platform and enter your bank information and the sum you wish to withdraw. Trustly claims the process is instantaneous, but this greatly depends on the casino and the bank you are with. In the worst case scenario, processing time should not take more than 2 to 3 business days. 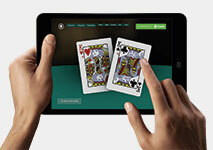 Using Trustly to move money between your bank account and casinos has no inherent charge. However, the casino or the bank may place their own charges for depositing and withdrawing money with this method. Before you make a transaction be sure to consult representatives of your bank or members of the casino’s support staff to ensure that you are getting a good deal. Additionally, using Trustly adds several layers of added security for safe and anonymous transactions. Trustly has gained much popularity since its inception in 2008. Currently, it functions in 29 countries in Europe and has partnered with some of Europe’s biggest brands. Furthermore 1.7 million purchases are made every month if they can be believed. Being this popular and widespread means that this payment method is subsequently widely accepted. In order to use Trustly, you do not need to open an account with them. You can use their platform indefinitely without one if you cannot be asked. The functionality is not limited in any regard and no extra fees are imposed. Trustly is held to the same standards of business and security as are traditional banks in Sweden. To make a transaction, all you need to do is put in your bank login information. There is little room for malicious activity, if any. If Trustly does not include your bank in its network, any transactions you make through them could take up to several days to process. This is hardly acceptable in the 21st century. If that is the case, it would be more suitable to use another payment service, which offers instant transactions. It could be possible that your bank may charge you for the transfer or that the casino may deduct a percentage of your deposit for using this particular payment method. While it is not certain, it is always a possibility. ‘Security is our pledge to you’ is a statement that Trustly has posted on their website. Living up to their name, Trustly has many security features in place to protect their users’ data and finances. Trustly is licensed as a payment institution and is authorized and overseen by the Swedish Financial Supervisory Authority. Additionally, they hold a license for an European Payment Services Provider, issued in accordance with the Payment Services Directive. To guarantee that their clients’ data does not fall into the wrong hands, Trustly holds no information that can be used to gain access to any bank accounts. Any data that they do save is heavily encrypted according to the highest standards. On top of that, each bank has its own security practices in place that any would-be intruders also have to pass through in order to access your bank account. To gain access to your account, any potential wrong-doer would have to know which bank you deal with, your bank login info and have access to your ID token, be it SMS notifications, Google Two-Factor Authentication or something similar. With so many security measures in place, it is comical to assume that anyone would be able to get a hold of anything, let alone bring harm on bank account holders. Using Trustly is as simple as anyone can want it to be. It literally lets you make transactions without forcing you to go out of your way. It has no imposing registrations or verifications, you can use it with a single click. If Trustly supports your bank, transactions are instantaneous and anonymous. Trustly is a very stable and useful service. It provides users with security and anonymity, all the while being entirely free and easy to use. Trustly is currently supported in the 28 EU member states and Norway, having a significant presence in the European online markets. You would be hard pressed to find an online payment solution with such a low barrier to entry, which offers such a great service. Unless you live outside of the Eurozone this service will satisfy anyone willing to partake in online gambling of any sort.